This slim book is just chock-full of wisdom and poignancy. Sam Peek has survived his wife of 57 years, but now his children are concerned about whether he can still care for himself. Into Sam's life walks a mysterious white dog, who then becomes his companion, even though no one besides Sam has actually seen the dog. This book may move you to tears -- it did me -- and the sweet story will stay with you long after you finish. Sam Peek's children are worried. Since that "saddest day" when Cora, his beloved wife of fifty-seven good years, died, no one knows how he will survive. How can this elderly man live alone on his farm? How can he keep driving his dilapidated truck down to the fields to care for his few rows of pecan trees? And when Sam begins telling his children about a dog as white as the pure driven snow -- that seems invisible to everyone but him -- his children think that grief and old age have finally taken their toll. But whether the dog is real or not, Sam Peek -- "one of the smartest men in the South when it comes to trees" -- outsmarts them all. Sam and the White Dog will dance from the pages of this bittersweet novel and into your heart, as they share the mystery of life, and begin together a warm and moving final rite of passage. Winner of the Southeastern Library Association's Outstanding Author Award. Terry Kay's novels include Taking Lottie Home, The Runaway, Shadow Song, and the now-classic To Dance with the White Dog, twice nominated for the American Booksellers Book of the Year Award, and winner of the Southeastern Library Association Book of the Year Award. Terry Kay has been married for 44 years and has four children and seven grandchildren. He lives in Athens, Georgia. "Terry Kay is a perfect writer for those who love to read. His prose contains music and passion and fire. His work is tender and heartbreaking and memorable." "This short book moves like poetry....A loving eulogy to old age....A tender celebration of life, made poignant by death being so close at hand." "Manages to texture a plethora of everyday details with a kind of subtle, supernatural resonance." 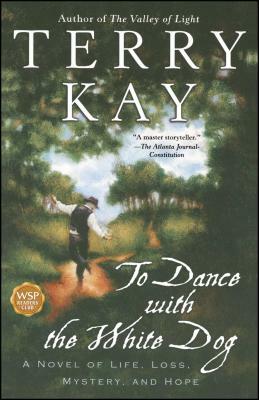 "To Dance with the White Dog is what literature is -- or should be -- all about....Kay is simply a miraculous writer....This book...burns with life." "A hauntingly beautiful story about love, family, and relationships"